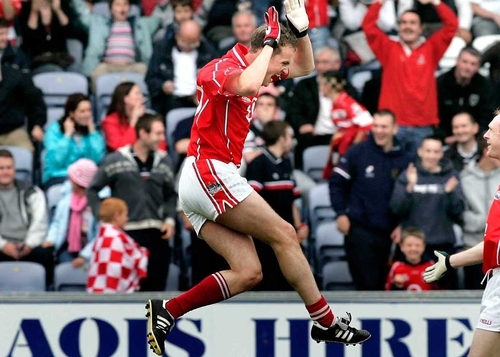 Cork took out their Munster final frustrations on Sligo to book their place in the last eight of the All-Ireland race on a 3-13 to 0-11 scoreline in Portlaoise. The result keeps Cork in the hunt for the Sam Maguire despite a crushing defeat to old rivals Kerry in the provincial final. The Rebel County will now face Galway in the quarter-finals next weekend. Boss Billy Morgan was playing his cards close to his chest and insisted they're now in 'bonus territory' after making the quarter-finals their season's target. As for his opposite number Dom Corrigan his position as manager is now uncertain and he said he'll consider things in the coming weeks. The winning margin certainly flattered Cork as for 50 or so minutes they weren't a great deal better than a Sligo side that missed midfielder Eamonn O'Hara badly. Goals win games and Sligo lost because they couldn't hit the net while the Rebels raised the green flag three times. The first came after 13 minutes from Nicholas Murphy and put Cork 1-3 to 0-3 ahead, a lead they wouldn't relinquish. By the break they led 1-8 to 0-6 and were cruising with the game at their disposal. Sligo hinted at an upset with points from Sean Davey, 0-4 overall, and a string of half chances around goal. But the game was officially put beyond them after 57 minutes when James Masters seized on Brendan Ger O'Sullivan's parried penalty kick to slot home. O'Sullivan redeemed himself slightly with a wonderful point from distance and sub Philip Clifford then followed his lead. The best was saved for last though when forward Kevin MacMahon strode forward on the left of goal and blasted home to the net, albeit after another parry. 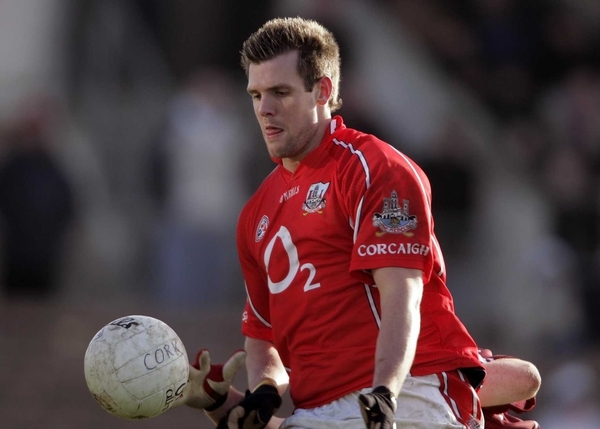 Cork: K O'Dwyer; N Geary, G Canty, G Murphy; O Sexton, A Lynch, N O'Leary (0-3); D Kavanagh (0-1), N Murphy (1-0); C McCarthy (0-1), K MacMahon (1-0), BG O'Sullivan (0-2); J Masters (1-0), F Goold, J Hayes (0-4; 2f). Subs: M Cronin (0-1) for Sexton 40, P Clifford (0-1) for Goold 52, D Hurley for Murphy 63, S Levis for Lynch & A Cronin for Masters 66. Sligo: P Greene; P Naughton, J Martyn, B Phillips; P Doohan, B Egan, J Davey; S Davey (0-4; 3f), N McGuire; J McPartland (0-1), M Breheny (0-3; 2f), T Taylor; D McTernan, D Sloyan (0-1), B Curran (0-1). Subs: D McGarty for Taylor 31, G McGowan (0-1) for McTernan h/t, K Sweeney for Sloyan 59, C Harrison for Martyn 68, P McGovern for Egan 70.